The Renegade Craft Fair, well established in the US, is coming to London to hold its third annual event, at the Old Truman Brewery on 9th & 10th November. Expect lots of jewellery, crafts and art to buy from over 100 carefully selected makers, plus classes and more. It's free to get into, perfect for early Christmas shopping, and open from 11am - 6pm both days. 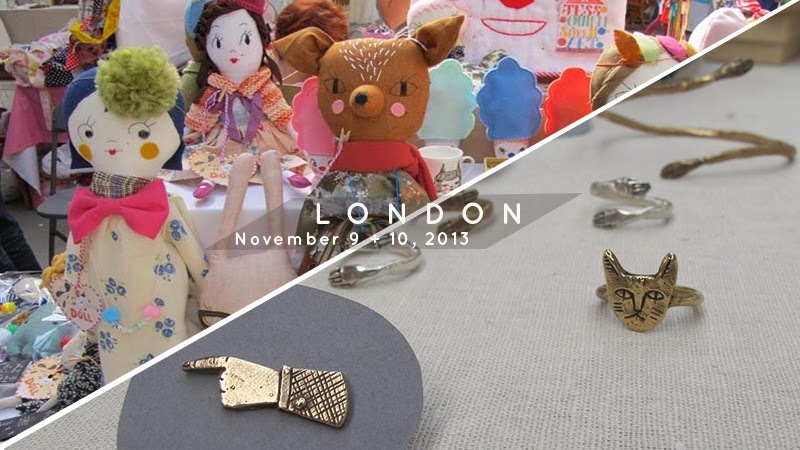 "The 3rd Annual Renegade Craft Fair in London will be held at the Old Truman Brewery on November 9+10, 2013. This free to attend craft, art, design and DIY spectacular will run from 11am – 6pm each day, and feature today’s finest indie-craft talents from around the world. Expect to find a wide variety of incredible handmade goods at the Fair – ranging from jewelry, clothing, ceramics and stationery, to posters, housewares, plush objects and more. Browse this year’s line-up of 100+ talented makers here. Folksy, the definitive online source for Modern British Craft, brings us Folksy Selected, an invitation only sampling of 12 of their favorite UK makers from their own online marketplace. Visitors are invited to take a photo to commemorate their indie shopping experience in the free photo booth provided by LOOKLOOK! 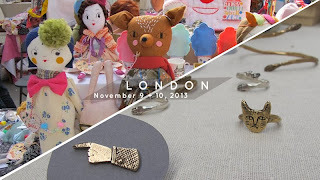 Renegade London will feature several craft workshops for attendees to enjoy all weekend long. Make, Thrift London will be leading a lino stamp carving workshop, where participants can create their own bespoke gift wrap. A. Alicia will be hosting a ornament making workshop to celebrate the launch of her new book “Make it Your Own.” DK London invites attendees to try out their sewing skills with a plush workshop led by Jane Bull, author of “Crafty Creatures.” Visitors can learn a traditional craft led by experienced elder crafters, The Amazings. Finally, Mollie Makes, the UK’s number one magazine about contemporary handmade culture, will partner with Anova Books to offer a cross stitch primer with Sophie Simpson, author of “Storyland Cross Stitch.”"